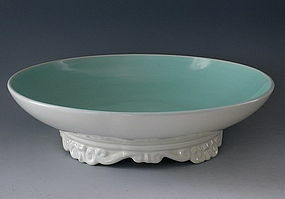 This turquoise and cream Franciscan Catalina footed serving bowl would also make a stunning console or fruit bowl. 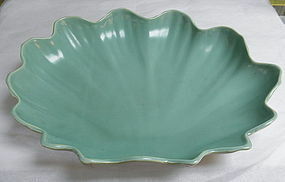 The bowl is turquoise on the inside and cream outside. In excellent condition, it measures just under 13" in diameter x 3.5" high. Circa 1940s.